The day before this destination wedding, we came to the chateau to scout locations for the couples portraits. The chateau was beautiful: a vine covered turret, a rustic old barn, a big green lawn for croquet, and the crumbling ruins of an old chapel. On the way back to our hotel, we got lost and it was the best wrong turn ever! 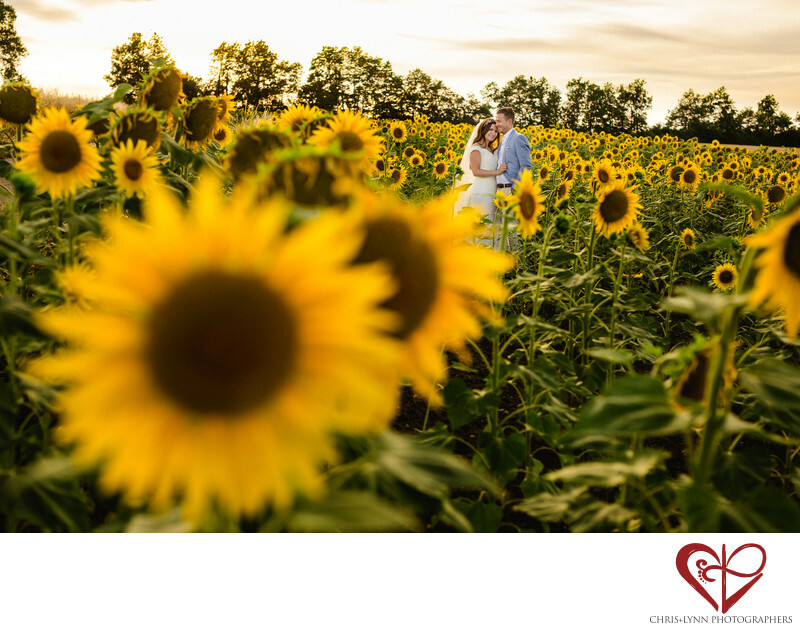 Just a few minutes away from the chateau was a field full of sunflowers - another perfect spot for our couple's portraits! Being a destination wedding photographer means being diligent about researching locations and also being prepared for the unexpected!